Size: 368 sq.ft. - 374 sq.ft. Ruparel Nova is one of the notable developments by Ruparel Realty proudly flaunting at Parel East, Mumbai South facing Arabian Sea and Eastern Freeway. It is a RERA verified plan - P51900019946 with the scheme of 10:80:10 on offer. 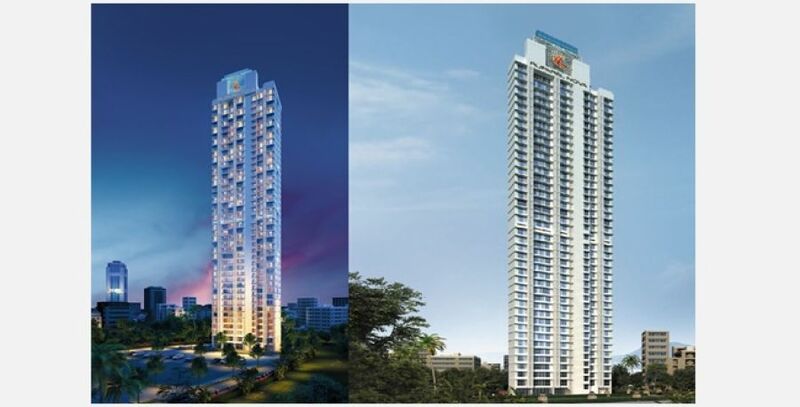 Ruparel Realty has already presented two of their unique residential towers in the same locality named Ruparel Jewel and Ariana. This is a new masterpiece to Parel locality hosts 1 super high rise tower of 40 floors. This magnificent ongoing project is consuming 2.61 acres of area with 5% of free open space around it. The micro apartments have become a new trend for today's generation people with luxury hotel style facilities as the developer has witnessed a huge demand for it. Buying an apartment in Ruparel Nova before 31st July 2019 you will be offered a fully furnished home starting at INR 99 Lakhs. The iconic features of Ruparel Nova will keep you fascinated with its creation of 1 BHK fully air-conditioned layouts. These residences will be designed with every comfort and cater your desire and meets all your requirements. Apart from this residential standalone edifice the project will also have two separate towers for four wheeler parking. The living rooms and Bedrooms will offer you mesmerising views. Internally these homes will be specified with well-designed kitchen bath spaces fitted with International Standard Sanitary Ware and modular kitchen with Steel Stainless Sink & Granite Platform. Nearly 160 apartments will be housed with the carpet area of 368 Sq.ft to 374 Sq.ft. From the ground to rooftop this new launch is clubbed with all modern amenities. The developers have estimated the completion date by December 2023. The location of Ruparel Nova is ideal for the employers offers you railway route to both Central & Western sides. Parel is quite famous area in Mumbai for housing several high rise residential properties. If you are looking to invest and buy properties then this location should be in your radar. It is popular for railroad junction and served by many rail service from Mumbai to Pune as well and offers you convenient access to famous hills stations, Mumbai beaches, Historical places etc. The area of Mumbai Metropolitan Region has reputed health care centres, educational institutes, airports within a close distance. This vertical masterpiece is in the prime location of Mumbai near Ruparel Ariana project at Jerbai Wadia Road at Bhoiwada in Parel East, Mumbai, Maharashtra – 400016. Ruparel Realty is one of the top most real estate developers in India, was founded in 2000 by Mahendra Karsandas Ruparel. The group has been developing numerous Residential and Commercial marvels like Ruparel Optima, Ruparel Palacio, Ruparel Orion and Ruparel Sea Palace, Ruparel Ariana, Ruparel Iris, Ruparel Jewel, Suparel Elara and so on. For executing these true iconic landmarks Ruparel Realty works with top companies like Aakar Architects & Consultants, Skyway RMC, JW Consultants, Eskayem Consultants and ACC. Working with these professional teams it assures for a timely completion of each projects without any compromise in quality standards. Ruparel Realty is working in the prime land of MMR over 2 million square feet of spaces and in NMMR they have delivered about 2.5 lacs sq.ft of developments. Ruparel's overall presence in the key destinations of Mumbai and Navi Mumbai has brought them on the road of substantial success. Trusting in the right talent and appointing best employee for the job in their firm has made them come this far and setting their own standard. In the world of construction Ruparel Realty has become the foremost dynamic and promising company. The International standard amenities of Ruparel Nova belongs to the privileged ones - The rooftop amenities are - Refreshing Sky Swimming Pool, Poolside Deck, Sky Deck Cafe, Luxury Lounges, Magnificent Observation Sky Deck, Senior Citizen Lounge, Acupressure Path, Fruit Juice Bar so the residents can experience exclusive sky lifestyle. For Fitnessholics it has World-class Fitness Centre, Aerobics Room, Cardio Studio, Yoga & Meditation Zone. Other secured and necessary amenities includes - Kids Play Area with play Equipment, Grand Entrance Lobby with Attendants, 24/7 Manned Security, CCTV Surveillance, Dedicated Tower for Vehicle Parking, High-speed Elevators & Designer Lift Lobbies. Schools - St. Joseph's High School, Auxilium Convent High School, I. E. S. Modern English School, Podar Jumbo Kids Plus, Daffodils Play School. Hospitals - Balaji Hospital, Ashvini Nursing Home, Sanjeevanee Hospital, Gandhi Hospital, Mumbai Port Trust Hospital. Bank/ATM(s) - Canara Bank, Kotak Mahindra Bank, Axis Bank, ICICI BANK, Saraswat Bank , Oriental Bank, Union Bank Of India. Restaurants - Hard Rock Cafe Mumbai, Kebabs & Kurries, Crown Palace, Amantran, Hornby's Pavillion, Crown Palace. Multiplexes - INOX Nakshatra Mall, Chitra Cinema, PVR Cinemas, Orama 4D Theatre. Shopping Centres - High Street Phoenix, Mega Mart, Atria Mall, Nakshatra Mall.